bạn must never claim to be his number 1 người hâm mộ - How's that for a paradox? so true. I hate those really lame fights. . .
bạn are correct on this. I have Sonic, Knuckles, Shadow and Tails plushies. I have a Sonic sprite comic. I am saving for a Wii just to get Sonic and the Secret Rings and Sonic and the Black Knight. I have finished Sonic Rush and Sonic Rush Adventure 26 times each and have 99 of every material and lives as both characters in both games. I have finished Sonic Unleshed 100% 13 times. Sonic Unleshed, Sonic Rush, Sonic Rush Adventure, Sonic Mega Collection Plus, Shadow the Hedgehog, Sonic Heroes,Sega Superstars, Sega Superstars Tennis, and too many thêm to list. I am making a claymation of Sonic. 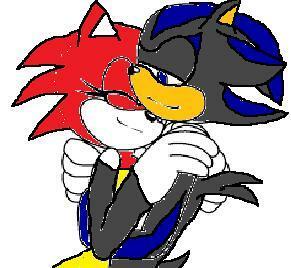 I Youtube Sonic X, and own Sonic X. I look at Sonic And Pals comics dailey. I made up a song about him. I have made exactly 163 phim chiếu rạp on him.I have life size cutouts of Sonic, Silver, Shadow, my fangirl character, and the action figures of Sonic, Tails and Knuckles. I did all this in less than a year. If that isn't Sonic obsessed, I don't know what is. I never đã đưa ý kiến that! I can rush past any level in a jiffy! yes he does!! !me and alot of other ppl!! haaaay Whirlwind586 he doesnt`hes cute and fun and for bạn shadowxcreamftw when he Mất tích blaze he was hart-broken !!!!!!!!!!!!! how would bạn feel ??!!!!!!! 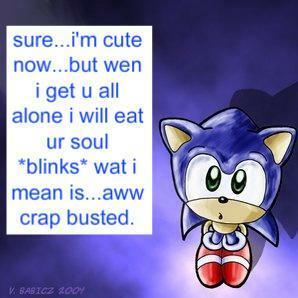 i just like sonic. i watched every episode of sonic underground, sonic x, the adventures of sonic the hedgehog. not only that, but i CREATE sonic characters, like kiki, and crash, 2 hedgehogs that i made before. 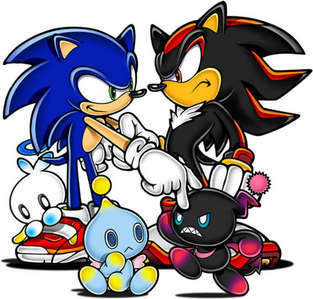 kiki is the red hedgehog, crash is the one that looks like shadow, but black and blue.